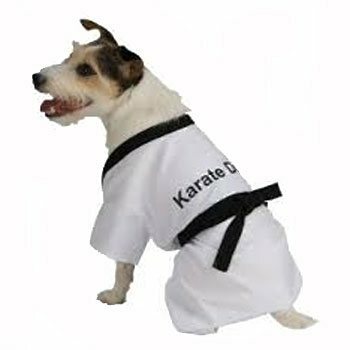 This Karate Dog Pet Costume will kung fu you! This dog costume includes a shirt with a belt. The shirt is black and white and across the back says 'Karate Dog'.